LGBT youth are thrice as likely to be bullied as non-LGBT youth. 42 per cent of LGBT youth have experienced cyber bullying. Editor’s Note: 21st April is observed as the Day of Silence. It is the Gay, Lesbian and Straight Education Network’s (GLSEN) annual day of action to spread awareness about the effects of the bullying and harassment of lesbian, gay, bisexual, and transgender (LGBT) students. This year too Gaysi will share stories/content on bullying of Queer kids and youth in India. Hoping to create better awareness resulting in effective sensitisation. If you have a story to share, please email us: gaysifamily[at]gmail[dot]com. Your words can make a difference. Given how we grow up in a sexually segregated society with strict moral and cultural codes, just the process of discovering our sexual side is a huge challenge. Add to that the pressure of confirming to gender roles and an absence of a support system for those who may be different. No wonder, most LGBT children and teenagers grow up facing intense bullying and persecution. According to a study by Gay Lesbian and Straight Education Network (GLSEN), titled Out Online, LGBT youth are thrice as likely to be bullied as non-LGBT youth. 42 per cent of LGBT youth have experienced cyber bullying. 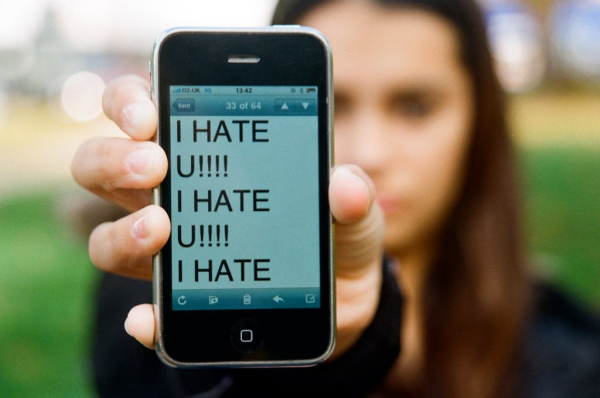 27 per cent LGBT youth have been bullied via text messaging. This is based on information gathered from over 5000 students from 6th to 12th standard in American schools. Now imagine what happens to young LGBT Indians who can either stay hidden in a stifling claustrophobic closet or come out and face the consequences in a society that has shown little inclination to embrace their kind. Research shows that unless children and teenagers are provided with an adequate support system, they end up suffering from low self-esteem, depression, inability to cope with the outside world, extremely shy and introverted personalities and sometimes even harmful and suicidal thoughts. So how can older gaysis help younger members of the community deal with constant online abuse? The first step is to realize that the medium is not the problem. Infact, the digital medium allows for a secure channel to establish a support system and a safe space. Contact details of various counselors, NGOs and members of LGBT rights groups should be made available in online forums and chat rooms, so that a teen in distress can call or email a responsible adult for help. There is also the need to sensitize cyber-crime cops about bullying and online abuse against young community members, so that their complaints are given adequate respect and attention. Finally, parents have to openly stand for the rights of their LGBT kids, so that youngsters can trust them enough to confide in them about abuse. Supportive parents can in turn campaign for sensitization programs in schools and society. After all, we don’t want our children to be pushed to take the ultimate step like Leelah Alcorn or Taylor Alesana, do we? So, this International Day of Silence, as we express solidarity with young LGBT survivors of cyber bullying, let’s make them feel safe enough to speak up. Bunny Bumshaker is a lover of wine, velvet and unshaved legs. Owner of 4000 books and humble servant to two cats, Bunny likes to play with handcuffs and whips. Yaariyan, A Community Home For LGBTQ Youth In Mumbai. Comic Strip: What Kind Of Man?